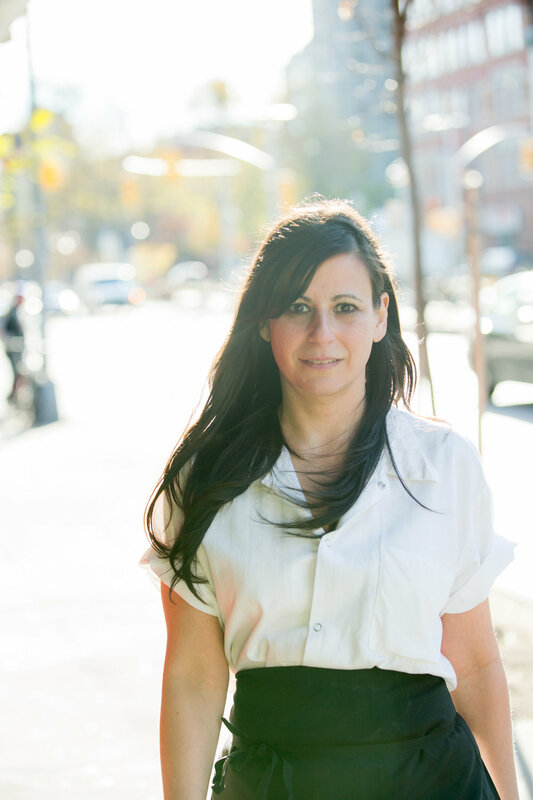 Amanda Cohen is the James Beard-nominated chef and owner of Dirt Candy, the award-winning vegetable restaurant on New York City's Lower East Side. Dirt Candy was the first vegetable-focused restaurant in the city and the leader of the vegetable-forward movement. The restaurant's original location only had 18 seats and was open for seven years, during which time it became the first vegetarian restaurant in 17 years to receive two stars from the New York Times, was recognized by the Michelin Guide five years in a row, and won awards from Gourmet Magazine, the Village Voice, and many others. Its new location opened in January, 2015 and it was the first restaurant in the city to eliminate tipping and share profits with its employees. Amanda was the first vegetarian chef to compete on Iron Chef America. Today, she is one of the Iron Chefs on Iron Chef Canada alongside Susur Lee, Lynn Crawford, Rob Feenie, and Hugh Acheson. Her comic book cookbook, Dirt Candy: A Cookbook, is the first graphic novel cookbook to be published in North America. It's currently in its seventh printing. She is also a Canadian. In 2018, New York Magazine named Dirt Candy "The Absolute Best Restaurant on the Lower East Side" and Wine Enthusiast named it one of the 100 Best Wine Restaurants in America.